The world's best tasting protein PREMIUM class with pieces of real fruit or chocolate! Excellent composition and quality of each serving! 128 loyalty points Your cart will total 128 points that can be converted into a voucher of 5,12 PLN. Nutrtion Scitec Protein Delite - whatever your tastes, you can write that it is the tastiest protein in the world. 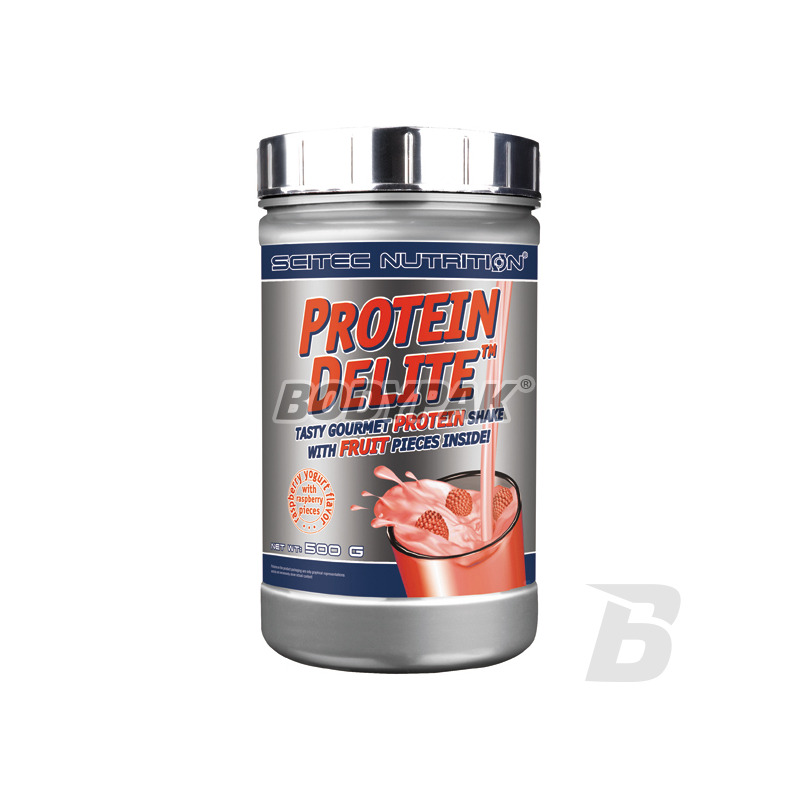 Scitec Protein Delite is the latest, fantastic composition of fast and slow-absorbing proteins, occurring in 5 flavors with real pieces of fruit or chocolate. It is very attractive, very tasty dietary supplement, meets a craving for sweets. 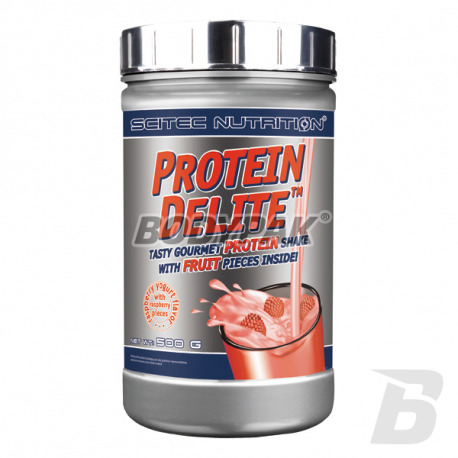 Nutrtion Scitec Protein Delite contains high quality protein necessary to maintain a healthy and young body. Scitec created the best tasting protein rich in amino acids BCAA and containing patented enzyme Aminogen® relationship, which is responsible for maximum protein absorption and utilization. Nutrtion Scitec Protein Delite contains real pieces of freeze-rise buildings. Freeze drying is to immediately freeze drying the fruit and so they keep all the valuable components important taste and at exactly the same way as fresh. As a result, each cocktail which was drawn up with the protein delite tastes like a real delicious dessert. While weight loss and burdensome diet, you can still rokoszować an unforgettable taste of your favorite foods - sweets! Protein Delite will satisfy your sweet tooth without the risk obrośnięcia fat, while helping you to get a healthy, slim. Each of the flavors of Protein Delite contains real fruit pieces or chocolate. The protein source is the combination of the highest quality, slow and fast absorbed protein. Dissolve a portion (30 g) in 300 ml of skim milk or water. Eat 1-2 servings daily, right after training and / or as an evening meal. Składniki: Ultrafiltowany koncentrat białek serwatki (pozyskany z mleka, emulgator: lecytyna sojowa) zawierający frakcje mleka: laktoglobulinę, laktoferrynę, laktoalbuminę i immunoglobulinę, koncentrat białek mleka, liofilizowane kawałki truskawek, aromat (białej czekolady, truskawkowy), Dekstroza, substancja zagęszczająca (Guma ksantanowa), Chlorek sodu, barwnik (Betanina), substancje słodzące (Acesulfam K, Suklaroza), L-Glutamina, Tauryna.